I had breakfast in bed. There is fresh snow on the mountains and the sun is shining. My garlic is starting to emerge from the soil as are my other bulbs. I dug compost this morning, glued wood for my top-bar hive, and prodded the garden a little bit with my spade. I am brewing tea for a batch of kombucha. 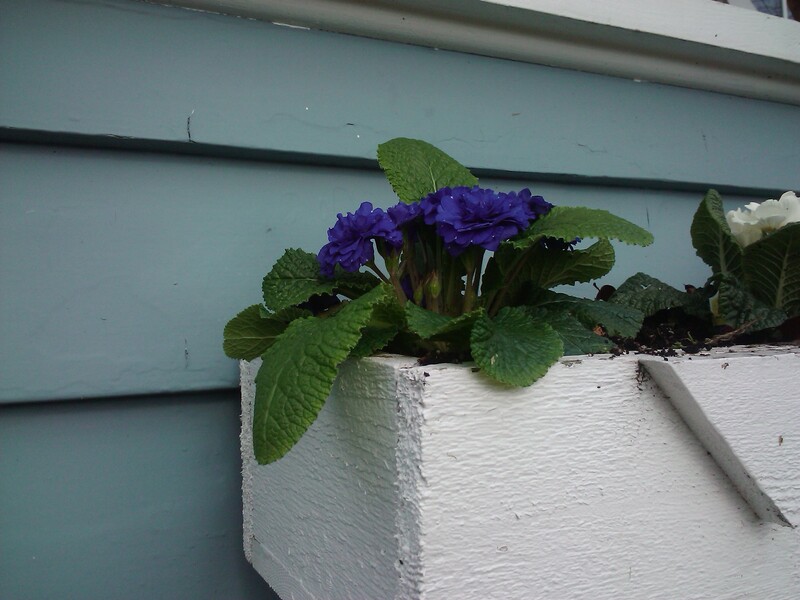 My porch-box is freshly planted with primulas and crocus. Tonight there will be dinner at Les Faux Bourgeois. I am still married to the man I am most suited to spend the rest of my life with. All things considered? Life is perfect. There isn’t anything else I could possibly ask for. And I know enough to enjoy that feeling while it lasts. Well Happy Birthday to you! Sounds like you had a perfect day and life is good 🙂 Nice to meet you!